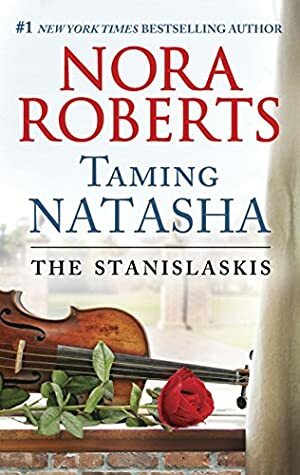 Don't miss the first book in the beloved Stanislaski series from #1 New York Times bestselling author Nora Roberts! When Spence Kimball sets eyes on Natasha Stanislaski, he's thunderstruck by the intensity of his attraction to the foreign beauty. While the former ballet dancer turned toy shop owner has a fiery temperament that keeps most men safely at bay, Spence can't seem to resist her. But he isn't sure Natasha would be interested in a single father. Sensing a hidden wound, Spence and his little girl join forces to find a way into Natasha's closely guarded heart. He'll do whatever it takes to tame Natasha's fears... and show her how to love. We started tracking this book on November 6, 2016. The price of this book has changed 10 times in the past 894 days. The lowest price to date was $1.99 last reached on May 9, 2018. This book has been $1.99 4 times since we started tracking it. The highest price to date was $8.99 last reached on January 31, 2017. This book has been $8.99 one time since we started tracking it.